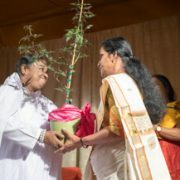 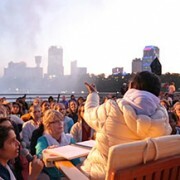 Amma was welcomed to the Georgia International Convention Center (GICC) with traditional chanting and an offering of Purna Kumbha. 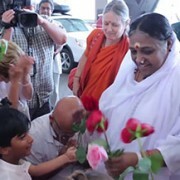 This was Amma’s first visit to the Southeast US. 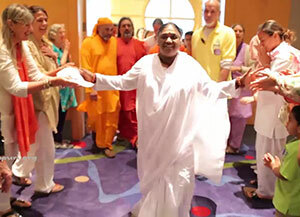 Satsangs groups from all over the region, including Atlanta, Tampa Bay, Birmingham, South Florida, Gainsville, and Raleigh had the opportunity to put on cultural performances. 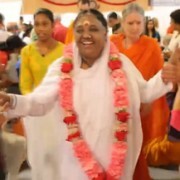 Children from Amrita Balakendra chanted various sacred Vedic chants. 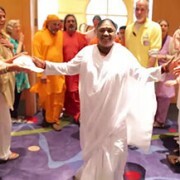 The Atlanta satsang joyfully performed wonderful dances invoking the glories of Durga. 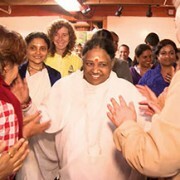 At the end of the programs, everyone left with open hearts and the hope that Amma will make Atlanta a regular stop on her North America Tour.